The Dunwoody Perimeter Chamber always loves the opportunity to support and recognize our Chamber members. 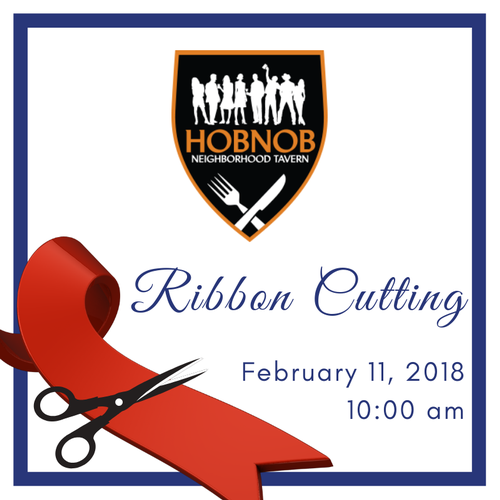 Please join us as we celebrate HOBNOB Perimeter with a ribbon cutting on Monday, February 11, 2019, at 10 a.m. Since its opening in Midtown in 2010, HOBNOB has offered one of the largest collections of bourbon and whiskey in the Southeast. Fine Southern additions to the menu of refined tavern fare combined with sincere and friendly service make visiting this community-driven establishment a must for both weekday revelers and weekend warriors. Following the ribbon cutting ceremony, attendees will enjoy a range of light appetizers and beverages. Attendees will also have the opportunity to win HOBNOB swag!